Scoring proved tougher on moving day but it was James Sugrue who again took up the mantle of leading Irishman ahead of the final round of the South African Amateur Strokeplay at De Zalze Golf Club. The Mallow man finds himself seven back after a one-under 71 that leaves him in a share of 5th place at nine-under par. Sugrue carded three birdies and two bogeys in total but is not without hope despite South African Jayden Schaper cutting a lonely figure out in front by five on 16-under par. Conor Purcell is next best of the Irish despite taking a backwards step on moving day. The Portmarnock golfer had fired himself into contention with a stunning 64 on Wednesday but a two-over 74 in round three saw him drop to a share of 10thspot at seven-under par. That’s the same score as Kilkenny’s Mark Power who’ll be feeling a lot better about his lofty position than Purcell. That’s because the teenage talent got there by carding a magnificent seven birdies on his way to a five-under par 67. 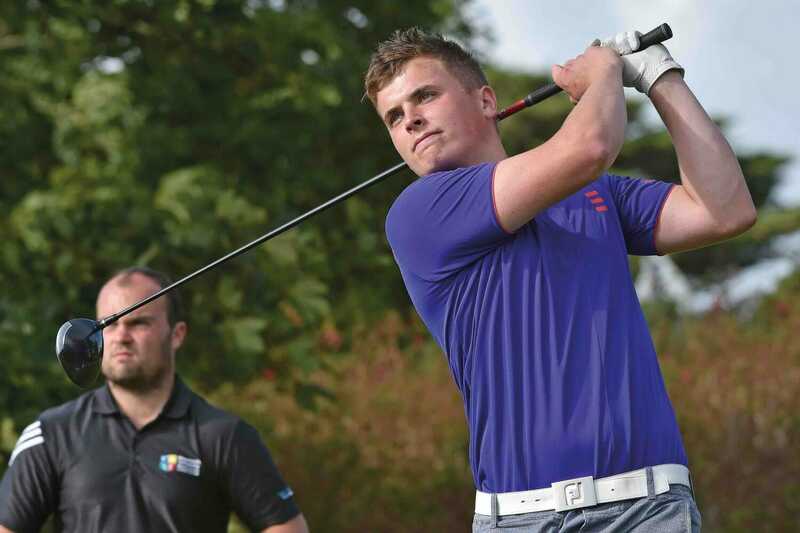 Dundalk’s Caolan Rafferty is one shot further back after carding a 68 on moving day. Rafferty will be left to rue an opening day 75 after fighting his way back with scores of 67/68 over the past two days. Galway’s Ronan Mullarney caught fire today too with a five-under par 67 of his own to move into a share of 18th spot on minus-five while Balbriggan’s Robbie Cannon (70) and Naas’ Robert Brazill (73) sit in a big tie for 33rd on two-under par. Castle’s Peter McKeever slumped to a 79 in round three to fall to six-over par for the tournament.